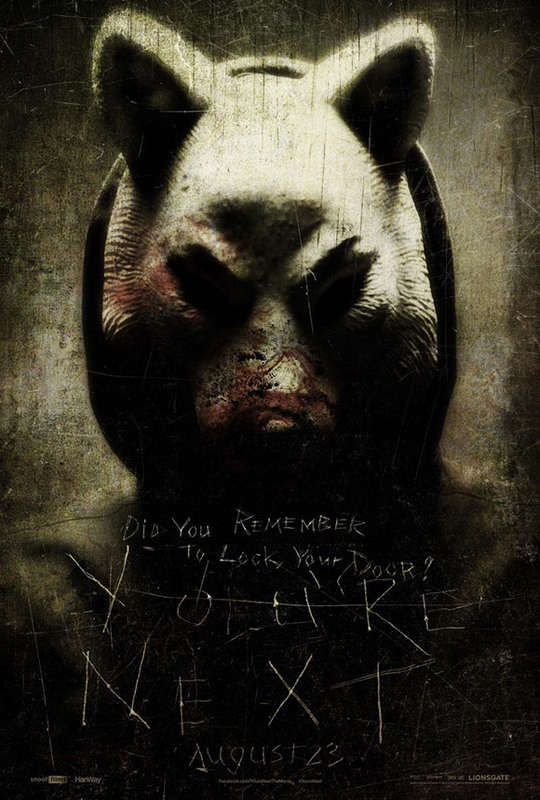 This one’s been a little while coming but the first trailer for Indie Horror ‘You’re Next’ directed by Adam Wingard and written by Simon Barrett has arrived. This looks pretty damn scarey and from the trailer reminds us of the excellent home invasion horror movie The Strangers but with a lot more potential victims! You’re Next invades UK screens this August. We’ve heard great things about this movie and after watching this trailer we’re totally hooked – and we’re loving those spooky animal masks!